On April 17, 1943, at the height of World War II, a short item appeared in the Talk of the Town section of The New Yorker stating that the US government had instructed Hollywood producers to remove any shots of stampeding cattle from their Westerns. Such scenes, it was thought, might stir public unrest over the recently-enacted meat rationing system put into place by FDR’s Office of Price Administration after several years of shortages. The rationing system, which went into effect on March 29, 1943, severely limited the civilian population’s access to meat, as well as butter, margarine, cheese, and canned goods—items badly needed by America’s expanding armed forces. 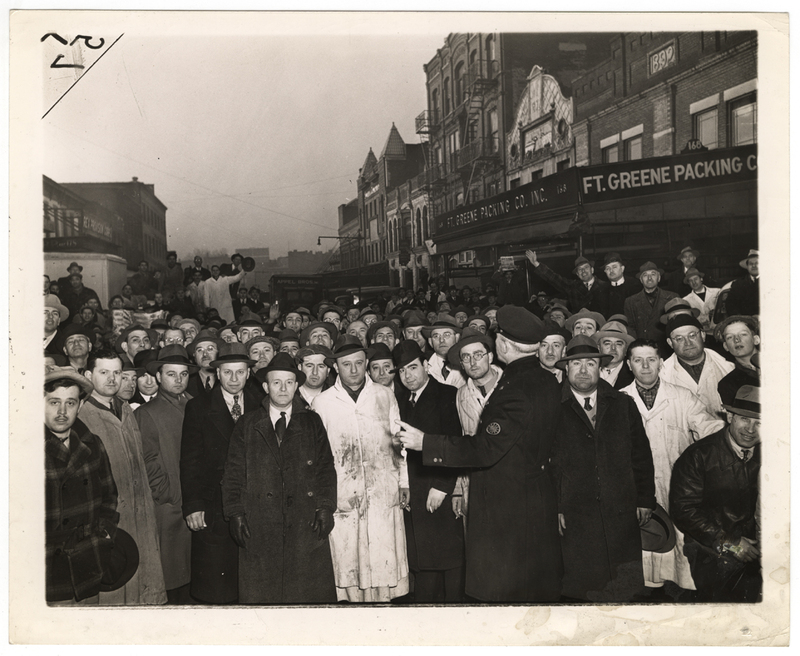 The butchers in Weegee’s image above line up at a Brooklyn wholesale market a week before the ration system was implemented, hoping to restock their shelves after last-minute panic buying by crowds of uneasy consumers. The entire row of buildings on the right of the image was razed in the late 1970s to make way for the Atlantic Center Terminal Mall. Today the site is home to the Target megastore, which, owing in part to our president’s wartime exhortation to “Go out and shop,” sees its fair share of stampedes and shortages. 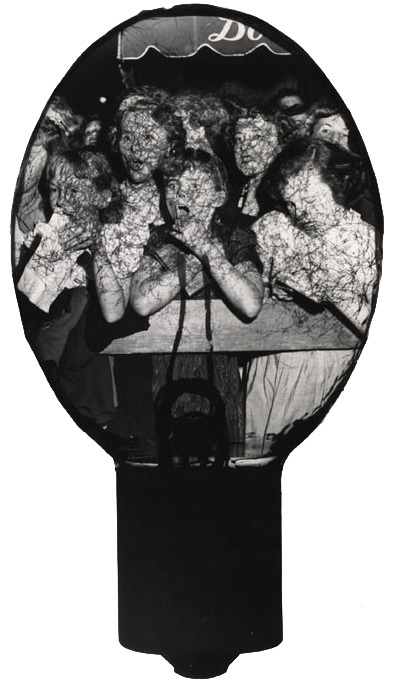 This entry was posted in Uncategorized and tagged Brooklyn, New York City, Weegee, World War II. Bookmark the permalink.